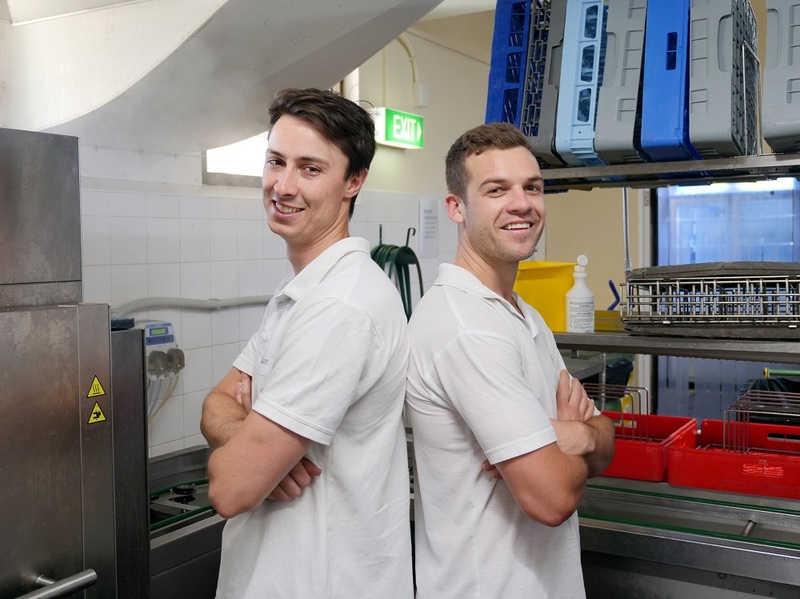 10 years ago school mates Keilan Marshall and Brendan Legg simultaneously secured casual jobs washing dishes and serving food at SwanCare in Bentley. Both aged 16, the boys quickly grew fond of the job, interacting with aged care residents while earning some pocket money. They loved their roles so much that they stayed on at SwanCare for over 10 years, even after they’d secured professional positions - Keilan is a high school teacher and Brendan is an exercise physiologist. Still firm mates, Keilan believes his SwanCare job has provided much more than an extra pay check. Brendan agrees, and also believes that his SwanCare role has been an important part of his career development. With the demands of their careers increasing, working two jobs has now become “a little too much” and the pair have decided it’s now time to concentrate solely on their professional roles.